How to participate in the S3 contest? S3 Contest Participation Guideline (.doc). This document provides a brief walk-through example of how to create an entry to the S3 contest. The package also includes an example plugin interface implementation (code) of one matchmaker to the evaluation environment used for the contest. For more examples see below. Download the latest version of the SME2 evaluation tool (@semwebcentral, or @DFKI) and install it on your computer according to the manual that is included in the download. 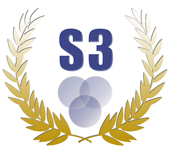 Build your entry to the contest: Please follow the instructions in the S3 Contest Participation Guideline (see step 1) for creating your entry to the S3 contest. Your matchmaker plugin for the SME2 tool: that is the Java library implementing the SME2 API plug in interface of your matchmaker together with an XML file specifying additional information about your matchmaker. The manual provides one example of how to build a simple plugin of your matchmaker for the SME2 evaluation tool. For more examples you may look at those matchmaker plugins provided by participants of past issues: OWL-S matchmaker plugins, SAWSDL matchmaker plugins. Mandatory: Please provide us with technical information about (a) the local hardware and software environment and (b) the matchmaker configuration you used for your own local testing of your matchmaker plugin with the SME2 tool. This information will be included in the summary of results in order to allow others to obtain the same results when they repeat the evaluation with your matchmaker plugin. We assume that you are consent with making your submitted matchmaker plugin available together with others in the SME2 package, unless you tell us differently in your submission or later on by email. Submit your entry: Send your entry at any time until the given deadline for each year in a zip file via email to klusch@dfki.de or on a DVD/CDROM via postal mail to PD Dr. Matthias Klusch DFKI, Stuhlsatzenhausweg 3, D-66123 Saarbruecken, Germany.